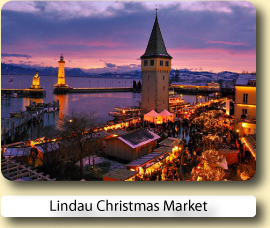 Annually the Konstanz historic inner city Christmas Market, in south West Germany, takes place in the heart of the old town and carries on, right on to the boats and shores of Lake Constance. Konstanz is located on Germany’s largest lake and is in fact within viewing distance to some impressive snow covered alpine peaks. 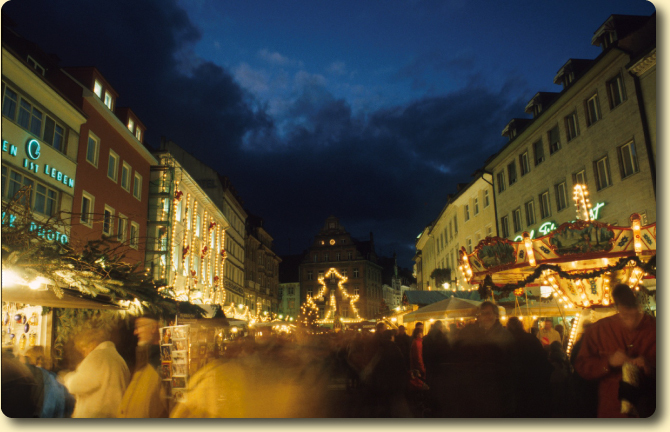 During the pre-Christmas period more than 130 Christmas Market stalls line up the streets of Konstanz with many traders offering traditional arts & crafts, Christmas gifts and local delicacies such as the infamous Käsespätzle, a typical southern German meal, made from freshly prepared pasta and lots of cheese. The majority of vendors come from the region and offer a very diverse selection of wares. 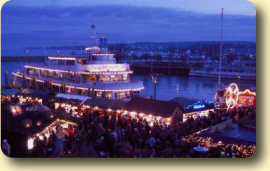 One particular feature of the market in Constance is the "Christmas Ship" which is moored at the quay wall in the harbour. A special atmosphere is created on board the ship as you continue to stroll through the stands. 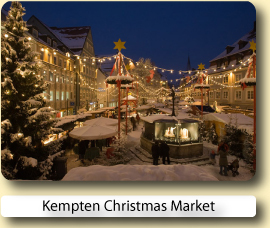 Of course the Koblenz Christmas Market wouldn’t be complete without its daily carols, concerts and entertainment for children, including an antique carousel and pony rides. Konstanz is uniquely located on the shores of Lake Constance and the River Rhine, this, together with its close proximity to Switzerland, Austria and Liechtenstein, makes Constance the ideal spot for a holiday destination and a stopping-off point for all manner of excursions in the surrounding region. 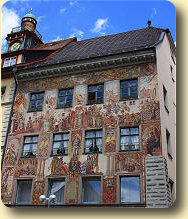 Konstanz is a lively university town of around 82,000 inhabitants, located at the western end of Lake Constance and in the south-west corner of Germany. Due to a border anomaly, Konstanz lies on Switzerland’s land mass, and the Swiss town of Kreuzlingen is just a short walk away. 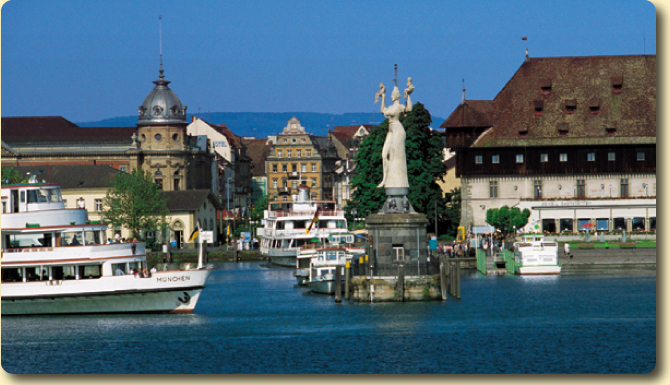 Konstanz is situated on Germany's largest lake, "Lake Constance" or in German "Bodensee". The river Rhine, which starts in the nearby Swiss Alps passes through Lake Constance and Konstanz, dividing the city in two and leaving it considerably larger than before. North of the river lies the larger part of the city with residential areas while on the south side of the river Rhine is the old town, which has remained almost unchanged since the Middle Ages. - The harbour for its imposing statue. - Built from 1388, the Steigenberger Inselhotel and city park for its selection of impressive warehouses and granaries. 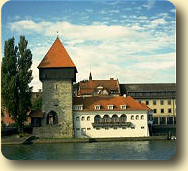 - Niederburg, which is the oldest part of Konstanz. - The 76m high and overwhelming Cathedral and just to mention two more, the town hall and Stephansplatz with even more impressive buildings, all dating back to the 14th century. Hotel Riva is stylish and modern. It deserves a superior rating. Standard room was big with a small seating area, balcony with side view of the lake and a lovely bathroom. Nice hotel, very well located in Konstanz. The Staff very very friendly and professional. Room was a good size. Shopping/Dining district just around the block. Very clean, very polite, good breakfast, near downtown. Standard ibis hotel. Easy walking distance to waterfront and old town attractions. 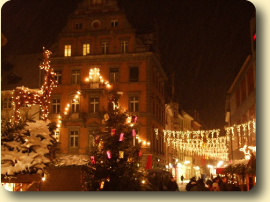 Book your hotel for the Konstanz Christmas Market with Expedia or Hotels.com.Both online reservation services will let you compare and book hotels at great low prices.